An almost unnecessary overview of Kiehl’s. What’s to say about Midnight Recovery Concentrate? What are the ingredients that stand behind the serum’s performance? How does it feel on skin? What’s to remember about using it? Truth be told, you don’t really have an excuse for a tired or dull looking skin. No matter how busy your schedule may be, you should always have the time or make the time for taking care of your skin. Whether it’s a simple skin care routine or the elaborate Korean skin care regimen, taking care of your skin properly is one thing you shouldn’t skip on, no matter how tired you are. The market isn’t just generous when it comes to pricing, but also amazingly abundant of options that match all sorts of needs and preferences. In the end, the proper skin care routine isn’t so much about which cosmetics you’re using, but rather about having the time to get informed about what fits your skin the best. It was 1851 when the East Village of Manhattan gave us Kiel’s which was determined to give us the high-quality skin care products. combining science and powerful natural ingredients, the brand doesn’t compromise and only creates efficient and powerful products. It does this without ever going too far from its storied heritage though. 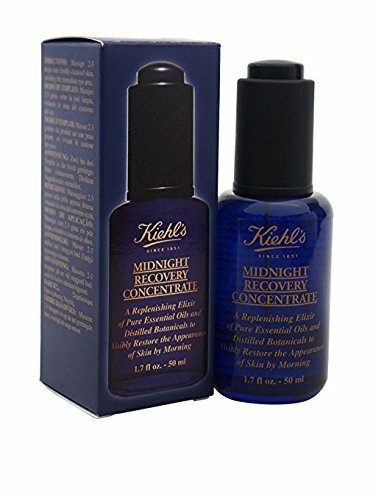 One of the best-selling cosmetic products from Kiehl’s (if not the most-selling product), Midnight Recovery Concentrate is a rich and exquisite facial oil that is made for the night use. It’s made so that it improves your skin’s natural nightly recovery process, toning and giving your skin a nice radiance throughout the night. The formula is based on a combo of essential oils and botanicals that are already known for their benefits on skin. 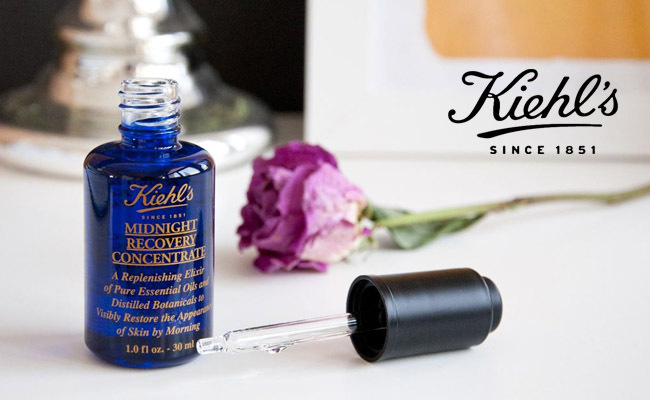 The Kiehl’s Midnight Recovery Concentrate Serum is going to rejuvenate your skin and eliminate the signs of aging from your skin. It’s great for all skin types, but it may be too rich for an oily skin. Thanks to the emollients within the formula, the serum is a great option for dry skin. The serum is going to improve the elasticity and firmness in skin, leaving it radiant and replenished. It restores your skin throughout the night and helps it repair itself from the outer aggressors. The night time serum is going to hydrate and restore your skin, removing dullness and uneven texture from your skin. Squalane – goes easily into the skin as it’s a lightweight ingredient. It eliminates dryness from the eye-area and moisturizes efficiently the skin. It doesn’t clog pores as it’s non-comedogenic. It’s not greasy and doesn’t irritate. It’s safe to use on sensitive skin. It controls the oil production in skin and keeps acne at bay. it speeds up the healing of cracked skin and comforts the skin in psoriasis, eczema and dermatitis. It protects the skin from the free radicals and evens out the skin tone. It’s anti-bacterial. It leaves the skin soft and plump. Evening primrose oil-softens and moisturizes the skin. It brings comfort in case of itching, redness and rashes. It reduces inflammation and leaves the skin suppler. It smooths out the dark spots and doesn’t clog pores. It alleviates symptoms in psoriasis and keeps acne at bay. Lavender essential oil-brightens scars and improves the skin tone. It reduces inflammation and controls the oil production. It calms the irritated skin and reduces risk for developing acne or breakouts. Rosa canina fruit oil-addresses the dull and acne-prone skin. It moisturizes the skin and makes the acne scars less noticeable. It improves the skin tone and firmness. It’s an effective exfoliator for skin. Jojoba seed oil- it’s a reliable agent for controlling the oil in skin. It mimics the natural sebum and works great for the dry skin. It doesn’t clog pores and benefits the dry and acne-prone skin alike. It protects the skin and reduces the damage of the outer aggressors. It calms in sunburns and cracked skin. It addresses psoriasis and eczema and has a pleasant smell. Rosemary leaf oil-reduces inflammation and keeps the sun’s damage away from the skin. It’s full of calcium, zinc and magnesium. It boosts the health of the skin and minimizes future damage. It increases tightness of the skin and boosts circulation in skin. Turmeric roots extract- it makes the skin radiant and fades out acne scars. It addresses various skin conditions, psoriasis including. It speeds up the healing of skin and works in eczema and various skin conditions. Sunflower seed oil- moisturizes the skin as it’s highly concentrated in vitamin E. It reduces itchiness and heals the damaged skin. It protects the skin from the UVs and calms the skin. Rose flower oil-it cleanses the skin, while leaving the natural oils. It benefits all skin types and is gentle on sensitive skin. It firms the skin and reduces the pores. It evens out the skin tone and removes puffiness from skin. It makes wrinkles less noticeable. The formula doesn’t include parabens and the risk for irritation is minor. You should always apply the serum on cleansed dry skin, at night. 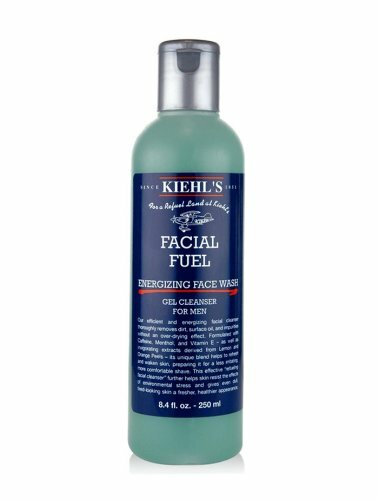 Take a quick look at the KIEHLS Facial Fuel Energizing Face Wash as it may be the right choice for your skin. Two or three drops of the serum are going to be enough for each use. You should gently pat your cheeks, chin and forehead as you want to spread nice and even the serum on your skin. Massage it gently until it’s fully absorbed. As it’s lightweight, the serum doesn’t need much time until it’s fully absorbed. It smells amazing and leaves a nice feel onto the skin. A little goes a long way and the serum is long lasting. It’s not heavy nor leaves a greasy feel afterwards. It tightens the skin and may give results after only a couple of night. It also eliminates flakiness or dry patches from the skin, leaving the skin glowing and nice. Its fresh feel is amazing and the serum is great to include in your night time skin care regimen. 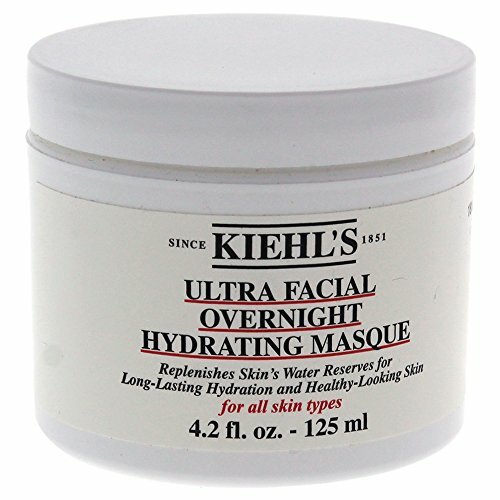 Never forget about moisturizing so take a peek at the Kiehl’s Ultra Facial Overnight Hydrating Masque. You may want to try it sometimes. Whenever you’re willing to put your money at stake with a reliable and powerful serum that is going to give your skin a replenished and healthier appearance, don’t hesitate to take the leap of faith with Kiehl’s Midnight Recovery Concentrate. Our latest cosmetic product reviews: the Juice Beauty Blemish Clearing Serum, the La Mer Regenerating Serum, the Evologie Intensive Blemish Serum Solution, the Stila Aqua Glow Serum Foundation, the Klairs Rich Moist Soothing Serum Review.